We supply and fit many different types of accessories such as underlays, grippers and threshold strips all designed to suit different needs so you can achieve the finish you want. We also supply and fit different types of barrier matting such as coir or polyrib, which can provide an attractive yet practical finish to any install designed to take any wear and tear away from the chosen flooring. Whatever threshold you have we will have a doorbar to cater for it, carpet to carpet, carpet to vinyl, carpet to tile etc. Available in brass effect or aluminium. We can also supply solid brass & chrome plated bars. We supply a vast range of underlays such as Cloud 9, Ball & Young and Tredaire to suit your needs, from 7mm thickness upto 12mm for that extra comfort. We also supply underlays suitable for underfloor heating. Whether it be your hallway carpet or the entrance to a communal area a barrier matting will take all the dirt and wear away from your main flooring sustaining the longevity of your chosen floor. We supply coir matting and also ribbed barrier matting, available in a variety of colours to suit. We can also take your off cuts of fitted carpet and have it binded along the edges to produce a runner or doormat so that it matches your existing floor. We stock products from the major brands such as Tredaire, Cloud 9, and Ball and Young. 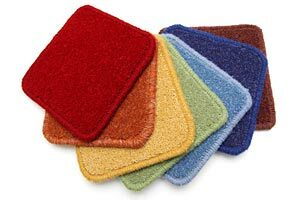 We supply carpets from a variety of top brand suppliers in many different widths, backings colours etc so that whatever you want, we should have something for you. We also offer a nice selection of vinyls, cushion floor and safety floor of which most come in 2m 3m and 4m widths.